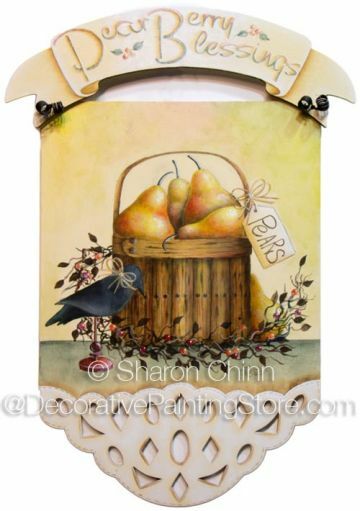 Prim design - basket of pears, crow decoy, and berry vine painted on lacework sign with ribbon banner. Size is approximately 8"x12". This design would also work well on a 12"x12" canvas, just enlarge design by 50%. Pattern contains instructions, full-sized line drawing, multi images, and step-by-step illustrations. This packet is available by mail or as a download. Please select format below.